Unai Emery was full of praise for his Arsenal side after they cruised to a 4-1 victory over Fulham on New Year's Day, and claimed he is confident that Aaron Ramsey will remain at the club until the end of the season. Arsenal bounced back from their crushing defeat against Liverpool at the weekend, as goals from Granit Xhaka, Alexandre Lacazette, Ramsey and Pierre-Emerick Aubameyang ensured that the Gunners were able to get 2019 off to the best possible start. 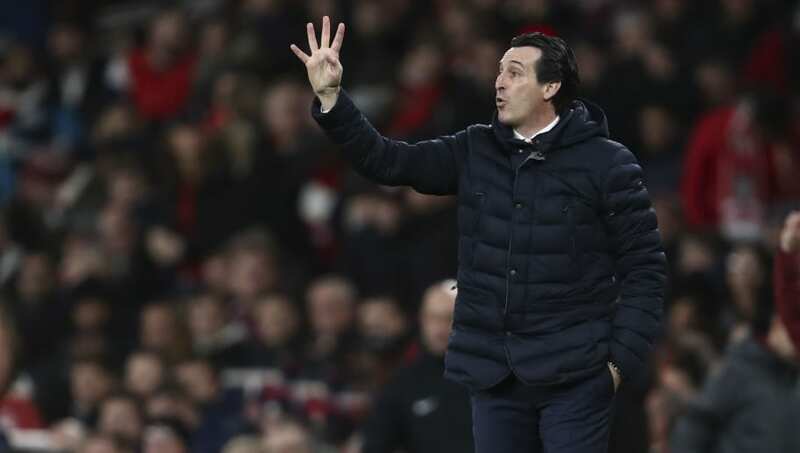 Speaking to ​Sky Sports after the game, Emery insisted that his side could be satisfied with their afternoon, declaring: "​We worked well. We wanted to win like this. "It's a good result, we need to take confidence here with a match like today. We struggled in some moments, but the team continued to push and create chances. We can be happy today. "It's normal at 2-1, there can be some doubt, but we continued to show confidence. The team continued to work and kept to their plan. "We can score with different players - it's good. We can continue creating our identity with different players and different systems." ​Ramsey came off the bench to score Arsenal's third goal of the match, leading to more speculation on his immediate future. He has now entered the final six months of his current contract with ​Arsenal, meaning he is free to negotiate terms with any side that play outside of England. A whole host of top clubs have been linked with a move for the Welsh midfielder, including ​Juventus and ​Bayern Munich, but Emery is confident he'll remain until the end of the season. "At the moment he is working with us and I think, yes," he told Sky Sports when asked whether Ramsey would remain at the club until the end of the season. "He worked very well in Liverpool. Today he played 15 minutes and he scored. He helped us for confidence and to earn a good result. I want this focus from him when he is playing."